Essie have founded the first ever (US) National Nail Polish Day! They’re also running a contest on their website, though I think you may have to be US-based to enter. In full support of this new day, today’s Throwback Thursday is, of course, an Essie. Bonded (492) is long discontinued, but still one of the prettier reds I’ve ever come across. 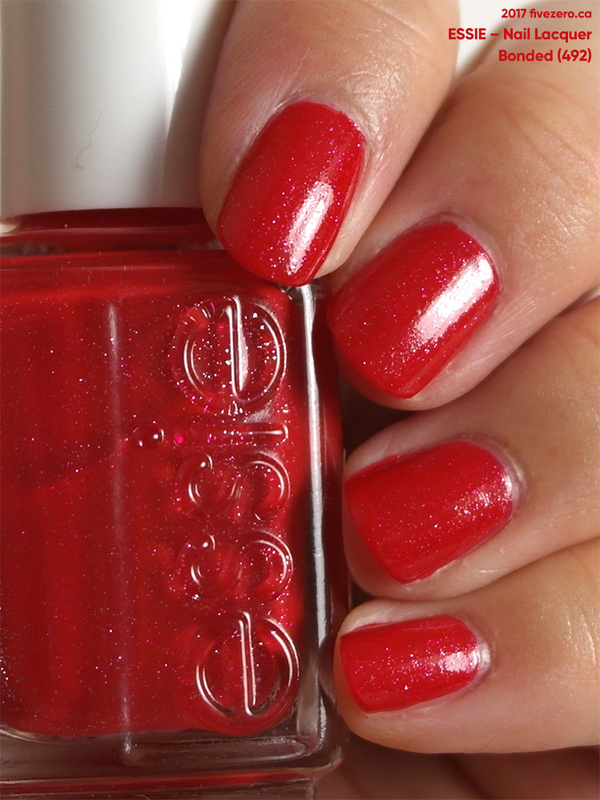 It’s a clean, clear candy apple red shot through with fine red and silver microglitter. The glitter is just dense enough to look sprinkled on, but not so sparse that it looks haphazard. I’ve had to add thinner to this over the years, so I used three coats to plump it up, even though it’s actually opaque with two coats. It’s a pre-3-free formula, and it applies quite beautifully. 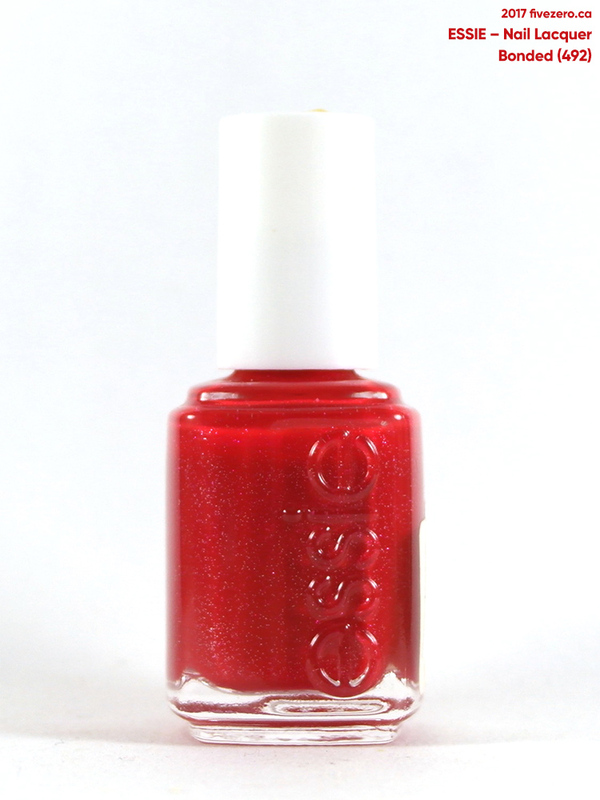 Essie Nail Polish currently retails for US$8.50 / CA$9.99–$10.99 and is 0.46 US fl oz / 13.5 mL. (This is an old formula from 2004, so it is not 3-free, and it actually contained slightly more product: 0.5 fl oz / 15 mL!) It is made in the USA. WOW! Such a gorgeous red! Ooh National Nail Polish day – that’s awesome! (and about time!) I’ve heard of Bonded but never knew it has glitter – so festive! Looks like Jelly Apple but with glitter. Nice Review! amazing product and my favorite.